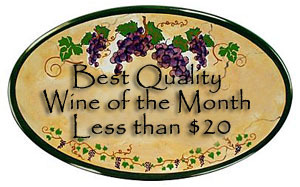 Synopsis, Our Opinion: An evocative, delicious and flavorful wine. 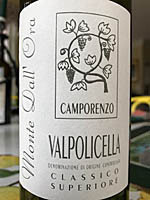 Grape Variety: Valpolicella Blend – 50% Corvina, 30% Corvinone and 20% Rondinella. Geographic Appellation,, Region, Country: Valpolicella Classico; Veneto, Italy. Opened one hour before drinking. Clear, vibrant ruby red with the same color rim. Strong cherry, ripe plum and cardamon aromas with a substantial background of leather and damp earth. Smooth entry, fresh mouthfeel, medium body and a 150-grit texture. Full of jammy fruit…rich tart cherry, pomegranate, juicy plum and just a touch of sweet and peppery spice. Edgy acidity, smooth tannins and a long tart pie cherry and coffee tasting finish that ends with just a smidgen of powdery mineral. Excellent paired with the roasted tomato sauce and venison, but absolutely yummy sipping without food. 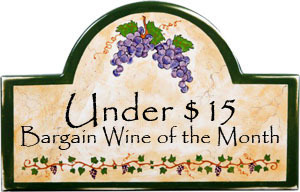 An evocative, delicious and flavorful wine. 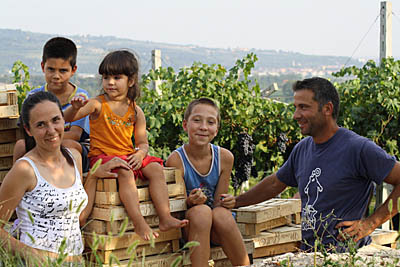 Comments: Learn more about Monte Dall’Ora and their wines. Imported by: Louis/Drressner Selections; New York, New York.